Professional services firm, Sentio Partners, has appointed a new Associate Director to support the continued growth of its mergers and acquisitions advisory practice. Charlie Gray has joined from PwC, where he had spent the previous three years as an Assistant Director in the Leeds office of their corporate finance practice. During this time Charlie advised on the secondary buyout of Nexus Vehicle Management by Phoenix Equity Partners, the sale of Cassellie Limited to Mobility Plus Group and the disposal of a non-core European operation for Low & Bonar Plc. Prior to that Charlie spent five years at KPMG where he completed his chartered accountancy qualifications. Charlie is the latest addition to the Sentio team which now includes twelve professional staff focused on delivering senior-led, pragmatic and highly commercial advice. In the current year the team have worked on the MBOs of Fretwell Print and Design and tool manufacturer Cutwel Limited, and have delivered the sale of print and display provider, Leach Colour, optician chain Duncan and Todd and US based industrials business, Dau Thermal Solutions. Sentio has also advised on the acquisitions of Neom by Piper Private Equity and Wolseley Plc’s acquisition of Canadian based plumbing supplies business AMRE Supply. Charlie Gray said, “I am excited to be joining the team at Sentio, which has built an exceptional reputation for quality advice across a wide range of clients and transactions. I’m looking forward to working with the team to support Sentio’s clients and delivering the strong pipeline of deal activity”. 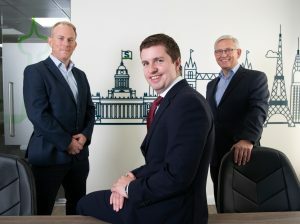 Based in Leeds, Sentio Partners and Sentio Insight provide strategic advice and specialist corporate finance and transaction support services to a UK and international client base.